Technologies Used: Second Life; Blogs, Wikis. Summary of Poster Session: Quinn Mecham and Alex Russo (a student from his course) demonstrated how they used Second Life as one of their tools to simulate how political parties and governments form. 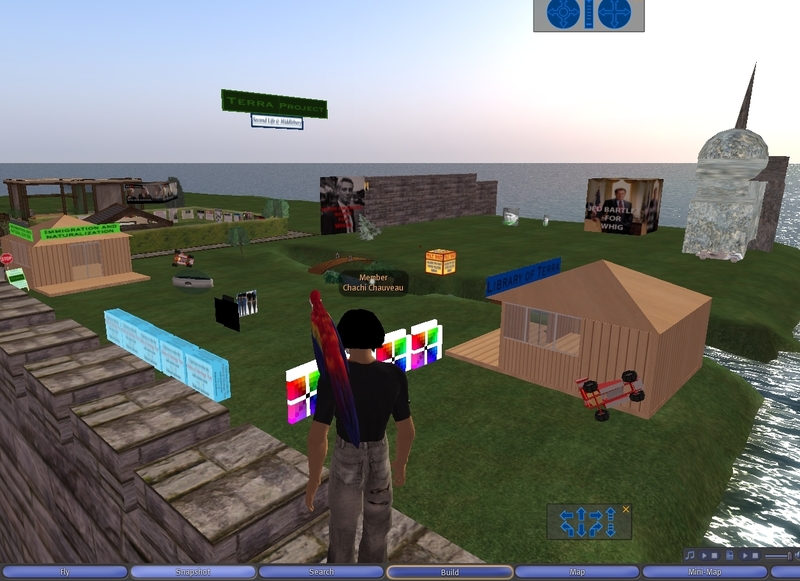 Students had avatars (simulated characters) in Second Life that could interact with each other and campaign, form parties, propose legislation, and experience how politics play out. A blog and wiki connected to their virtual space was also used to allow proposals to be vetted. This entry was posted on June 19, 2009, 10:57 am and is filed under Political Science. You can follow any responses to this entry through RSS 2.0. You can leave a response, or trackback from your own site.